Homepage»Relationship Problems»How To Say: “I’m Sorry” In Your Relationship? The truth is that it’s not so easy to admit that you are wrong. It’s difficult to swallow your pride and say sorry and especially when you are in relationship… But there needs to come a time when you assess which you value more: your relationship or your pride. 1.The first essential component of an apology is timing. It’s not a good time for an apology, for instance, if he/she is preoccupied or upset. Ensure that is in a good mood and able to pay attention to you and your apology. Otherwise, set up such a circumstance – arrange a situation where you’re alone together and able to talk quietly. If you want your boyfriend/girlfriend to accept your apology to accept it and forgive you, you must pay careful attention to the timing. 2. An apology should always be face-to-face, and look directly in the eye. So it’s better not to apologize by the phone or texting a message for sorry. Sometimes, this is impossible, but you should always try to apologize in-person. Cellphones and email have made communicating cheap… almost meaningless. 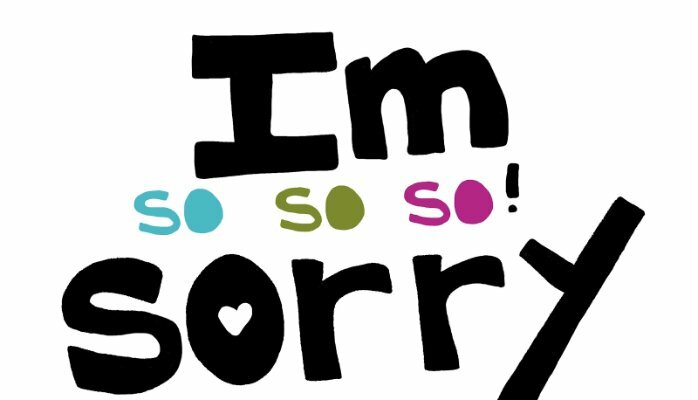 When you make the effort on attempting how to apologize directly to the persons face, it just makes the apology that much more meaningful. 3.When should you apologize? As soon as possible. Depending on the relationship this may be immediately or when you’ve cooled off after a few days. It is our responsibility to take the initiative to apologize. If you wait for the other party to come to you, you may be waiting forever. It takes boldness and integrity to make the first step. Never let an apology swing on timidness or lack of confidence. 4.Just mean it. Saying sorry is never any fun. Don’t waste this discomfort by forgetting the pain you caused. If you’re going to say “I’m sorry”, mean it! Mean it by your actions. Mean it in your words. Know what you did wrong and simply don’t do it anymore. 5.Stop putting yourself into the position where you need to apologize. Take responsibility for your actions. Understand that we are all able to know that what we are about to do is wrong. When you get that feeling like you’re about to get yourself in trouble, step back and pause. Not needing to ask forgiveness is a better route than figuring out how to apologize. 6. Imagine how you would feel if you were in your partner’s place. Like it or not, you’ll need to find a genuine place of empathy and compassion, even if that temporarily makes you feel worse about yourself. This requires setting aside your own intentions and expectations again. Your partner doesn’t need your permission to have feelings, but remind them of their right to feel hurt, to be angry, or whatever the primary emotion is. Actually start by saying the words “I’m sorry.” Your pride may make you reluctant to utter this all-important phrase, or maybe you just forget. Either way, it will make it seem like less of an actual apology if you leave this out. Even better, go on to say exactly what you’re sorry for. Avoid “I’m sorry you feel that way.” That puts the root of his negative feelings on him rather than on something you did. The point of an apology is owning up to something you did wrong, and this phrase just seems like a deflection of blame. Be honest and speak from your heart. If you are genuinely sorry, allow your feelings to show by speaking your mind. If you think too much about what your spouse wants to hear, your apology won’t be as honest. 7. You must understand that is your own fault. Some people have a big problem sharing the blame when learning how to apologize. “I’m sorry for cheating on you, but you’re never around”,is not an apology. Everything that comes before “but” is negated once you place some of the blame on him. If you messed up and did something truly worthy of an apology, then what he did doesn’t really matter. 8. Make a commitment even if it’s small. Committing, even to a small action, demonstrates your sincerity and reaffirms your relationship with the other person. Once you commit to it, though, make sure you deliver on it! 9. Use the old but good way by giving unique gifts. The old romantic standards of apology flowers and gift baskets, are always effective and appreciated for personal relationships and even in business. Flowers have a great deal of symbolism and meaning so know which flowers to buy and what colors to get. As for gift baskets, there are so many available on the market so be very selective when choosing one as an apology gift. 11. Write down what you feel. If you can do a better job through writing, that’s okay. Sometimes writing and reading an apology letter can help couples step out of the power struggle and actually put themselves in the other person’s shoes. 12. Resist the pressure to immediately step in with an “I didn’t mean to.” A simple and sincere apology is better than a back-handed way of explaining how you’re in the clear.